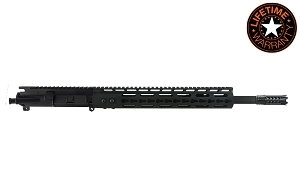 Add a 4x32 scope and Mil-spec stock to your order for only $38.99? 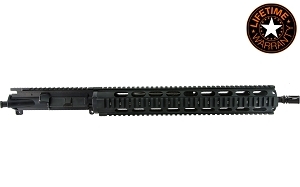 Add a 38" rifle case, polymer sights and mil-spec stock for only $49.99? 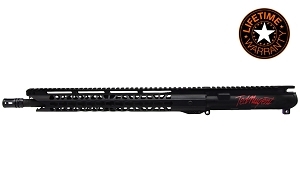 Add a 38" rifle case, polymer sights and mil-spec stock for only $49.99? Yes, that sounds like a great deal! [+$49.99] No thanks, I don't like saving money. Ted Nugent's Signature Series AR15 upper kits are one of a kind and definitely stand out, much like the legendary rockstar and firearm activist, Mr. Ted Nugent. 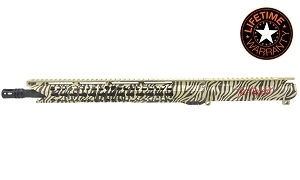 This is only one model out of 3 in the Ted Nugent Signature Series. This upper assembly is simple yet still one of a kind, and it also features Ted's Signature. Ejection Port Door and complete forward assist assembly Installed.